This modern 4-storey hotel is conveniently located at 4km from the Suvarnabhumi International Airport and around a 25-minute drive from the centre of Bangkok. The busy Ladkrabang train station is 5km away, but can be easily reached thanks to the direct bus that runs to it and stops right in front of this hotel's front door. Seacon Square and its shopping venues are 20 minutes away and a visit there is more than worth the time if one is looking for souvenirs or just wants to browse the local market. Guests who are craving a delicious meal shouldn't have to look outside of the hotel. On its premises they can find a restaurant that offers a hearty continental breakfast and à la carte menus for lunch and dinner. After the fulfilling meal they can head to their beautifully decorated spacious rooms, relax and prepare for the next day. Welcome to thailand. 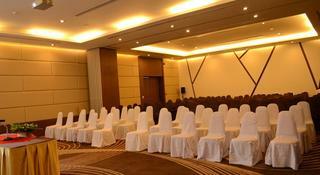 A warm welcome to Airy Suvarnabhumi Hotel. A relaxing space where our promise of pure value, pure quality and pure service is delivered. Committed to provide only the highest levels of comfort quality accommodations and facilities has made for leisure , corporate travelers, stop over and long stay. Each and every stay offers a high level of warmth and hospitality. e have extensive choice of accommodations to choose from Superior rooms, Deluxe Twins, Triple and Family Suites. Choice of luxury and budget hotel. Every rooms has a unique design and ambiance. Centrally located, 8 minutes away from Suvarnabhumi international airport, Close proximity to the ladkrabang station (airport link), metro stations, public transportation. A block away from PASEO, BITEC, and temples. Hi – speed wifi internet in all rooms and public places. The hotel is situated about 30 kms or 40 minutes by car from Bangkok's central business district via the motorway, while the Suvarnabhumi Airport Hotel Railway Link is expected to operate soon. 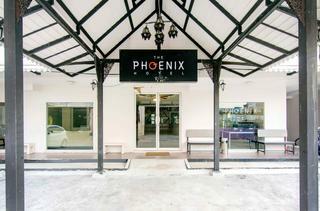 The hotel is located within 7 kms or approximately 15 minutes by car from Suvarnabhumi Airport. 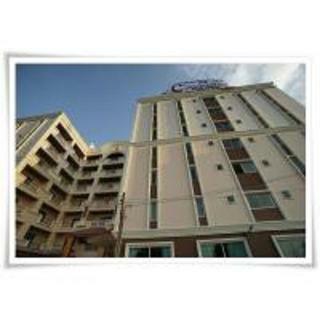 Built in 2010, the hotel provides comfortable and relaxing accommodation before or after a long flight. All room are decorated in a simple, modern and clean style along with basic full facilities such as an en suite bathroom with separate shower and bath and an open-air balcony or terrace. 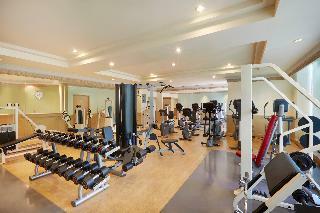 The hotel features an outdoor swimming pool with children's area, a mini gym and a relaxing massage service room. Breakfast is served each morning. 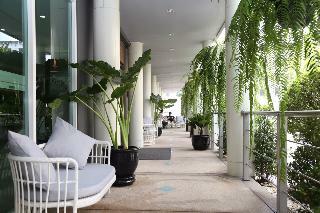 The hotel is the perfect destination for a convenient and comfortable visit to Bangkok. This hotel is situated at the heart of the Suvarnabhumi area, lying just a 3 minutes' driving distance from the Suvarnabhumi International airport. The hotel provides a great setting for business and leisure travellers visiting the area, as well as those seeking a relaxing location in which to completely relax and unwind before or after a long flight. The hotel is located just a short driving distance from the heart of the city, offering guests a peaceful setting from which to explore the delights that the area has to offer. 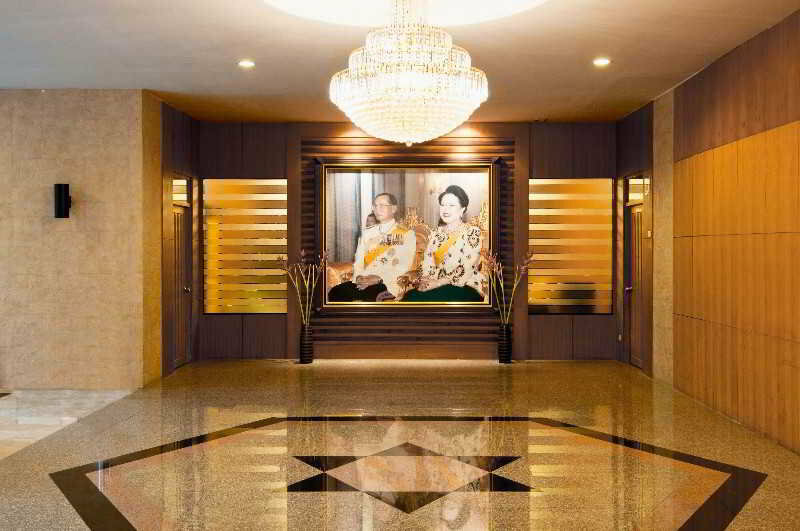 Greeting guests with sophistication and class, this hotel is the ideal option for discerning travellers. The guest rooms are superbly appointed, featuring modern amenities and rich furnishings. The hotel affords guests a wide range of exceptional facilities, ensuring that all visitors enjoy a relaxing stay. This modern city hotel is conveniently located only ten minutes from Suvarnabhumi Airport, making it an excellent base for business travellers and those staying for only a short time. Guests can take advantage of the hotel's free airport shuttle bus service and airport-city rail link to explore the city and its myriad of attractions, including the famous Wat Arun and Wat Phra Kaew at the Grand Palace, the Giant Swing and the Vimanmek Mansion. The contemporary rooms feature stylish Thai or city-themed designs as well as complimentary Wi-Fi, minibar, and coffee and tea for a pampered stay. 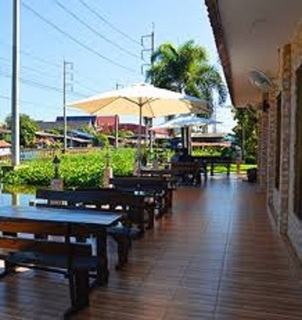 The Catch Up Café serves all-day breakfasts and Thai specialties in addition to coffee and homemade desserts and provides a quiet place to enjoy a book before setting off to catch a flight. For a restful, unhurried stay in Bangkok, this hotel is an excellent choice. This hotel is located just in Bangkok, lying just 24 km from Seacon Square and 26 km from the shopping district of Central Bangna. The hotel lies just 3.7 km away from the nearest railway station. This wonderful hotel enjoys a contemporary design. The guest rooms are stylishly appointed, featuring refreshing tones and exuding an air of character. 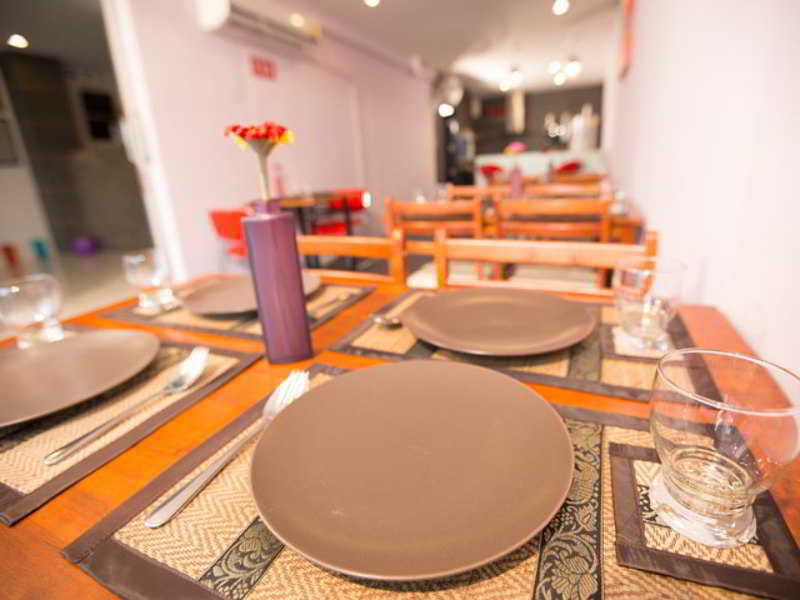 The rooms are well equipped with modern amenities. 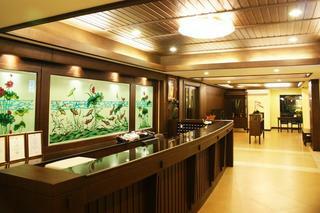 Guests are invited to enjoy the host of facilities and services that the hotel has to offer. Guests can enjoy delightful dining in the restaurant, where sumptuous culinary treats are the order of the day.Vismaya Suvarnabhumi Luxury Resort provides airport a shuttle transfer to the customers cost at @80 Baht per pax per way (by our schedule every hours) at beginning of hour 6, 7, 8, 9,….. Please look for a hotel staff holding your flight details on the second floor of the Arrival Hall, near the information counter. Please submit complete flight details (arrival and departure) during reservation. If flight details are not specified the hotel will not be able to guarantee of the transfer. Especially arrival flight If needed and important to provide a prompt service. For airport's rules, we can't park our shuttle van in front of terminal. Therefore for it would take times of the shuttle arrive from parking area to pick you up. However our staff will be at the Gate number between 3-4 Level 2 (floor) on the arrival terminal to assist you on this. Really nice family room, set in hillside above sea, with resident monkeys. Very friendly attentive staff, lovely grounds.